Ugadi is known as the first day of the New Year according to Hindu lunisolar calendar. Here is why the festival is special for Hindus. 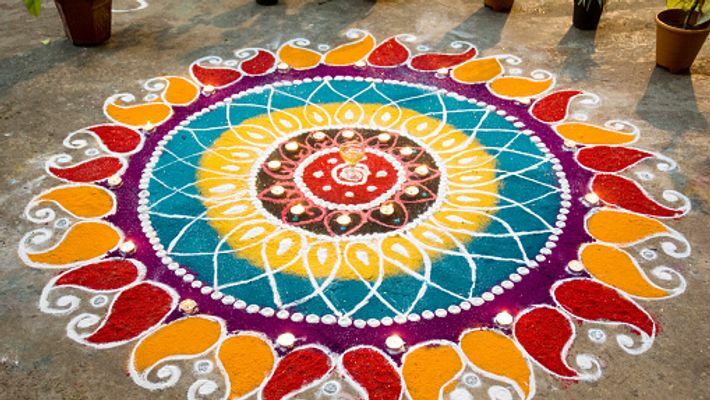 Bengaluru: Ugadi is the first day of the new year for the people of Karnataka, Andhra Pradesh, Telangana, and Maharashtra (known as Gudi Padwa), according Hindu lunisolar calendar. And the year begins with the month of Chaitra. The special ingredient of Ugadi is bevu and bella (neem and jaggery) signifying sweet and sour moments of life while giving a message that one needs to blend them both to taste life completely. This is even depicted in the dishes prepared on that day, especially the pachdi. This dish is a combination of all favours including sweet, sour, salt and bitter. The word Ugadi also known as Yugadi, which is derived from the Sanskrit word Yuga meaning age and Aadi meaning beginning. The morning of the first day of the new year starts with oil bath. Women dress up on the occasion and decorate the house with kolam or rangoli (design made of rice powder) in front of the house. The doors are decorated with garlands made of mango leaves. A week before the arrival of Ugadi, the entire house is cleaned along with all the vessels. New clothes are bought. The front yard of the house is washed with cow dung paste. Other dishes prepared during Ugadi include puliyogare, obbattu and pachadi. The prasadam bevu bella is prepared using tamarind paste, neem flowers, jaggery and a pinch of salt. This is distributed among the family members soon after performing the pooja. According to Hindu belief, Lord Brahma created the earth on this day. According to astrological calculations, Ugadi is the day that marks the beginning of Kaliyug (believed to be the present era). It is also said that Lord Vishnu is addressed as Yugaadikrit, which refers to the one who created the Yugas. And the day he created the earth is marked as Yugadi.